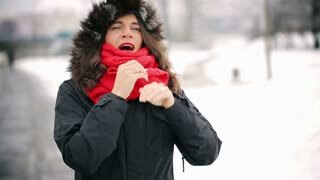 Search Results for "woman nose blowing"
Sick woman blowing her nose into tissue, outdoors. Young woman got nose allergy. Girl with with allergy symptom blowing nose. 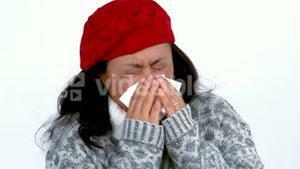 Girl having a flu and sneezing. Cold infection. Sick woman blowing nose and sneezing in bed. Ill senior woman blowing nose in bed. 1960s: Young man walks away, young woman stands alone in the living room, starts to cry and sits down on the sofa. Young woman blows her nose and sits on the sofa, stands up and walks to the door.